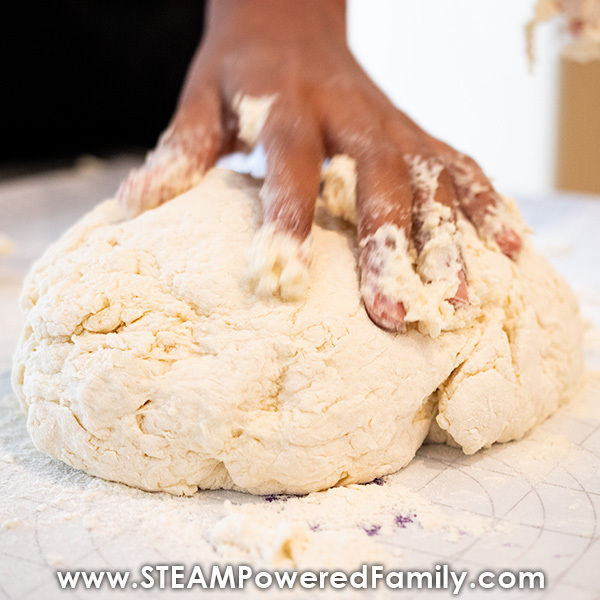 Making bread is a fantastic way to get kids in the kitchen, learning about chemistry and science in a tasty, hands on way! 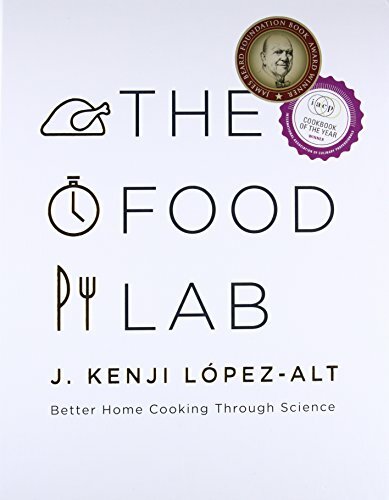 We love baking fresh bread and have had a lot of fun exploring the science (chemistry specifically) behind bread and how different recipes create different tastes or textures in our loaf of bread. This time we are exploring Irish Soda Bread. 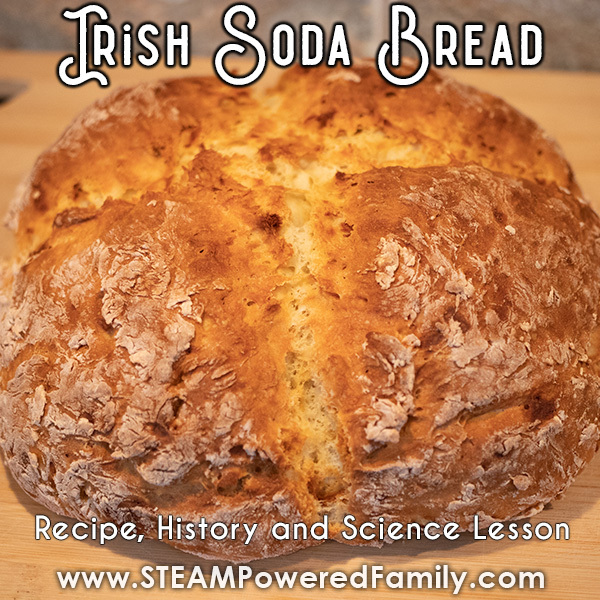 There is some really cool history and science behind this Irish Soda Bread recipe. Irish means it comes from Ireland. Have you ever been to Ireland? Perhaps you have seen pictures or heard stories. If not, this is a great opportunity to learn a little bit about this amazing country as you make this delicious bread recipe. Ireland is a country that gets a lot of rain. This makes their climate damp with high humidity. Under these conditions you can not grow a robust, protein rich wheat which we use for most yeast bread recipes. The wheat they grow in Ireland is called a soft wheat. When you use yeast to rise a bread dough made with soft wheat, the gas bubbles rupture, destroying the dough structure. This makes the bread deflate because the soft wheat doesn’t have the strength created by gluten to hold the bubbles. 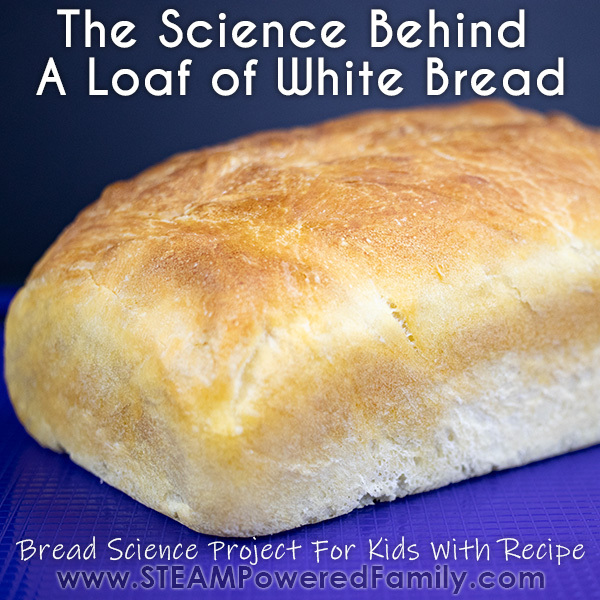 We learned about the importance of gluten in our White Bread Loaf science lesson. So what can we do to make a nice loaf of bread with soft wheat? 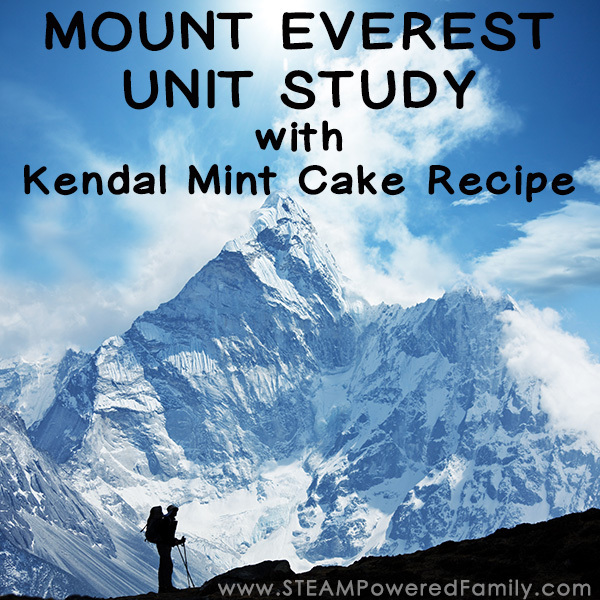 Science is the answer and it’s a reaction we know all too well here at STEAM Powered Family. It’s an acid-base reaction. So if we can’t use yeast to make our bread rise, what can we use? 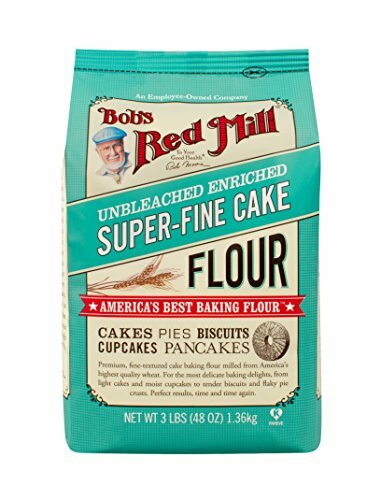 It’s true that most bread recipes use yeast as their leavening agent (to make it puff up and rise while baking), but there is a whole group of breads that use other leavening agents. In this Irish Soda Bread recipe the agent used is baking soda combined with a weak acid, in this case buttermilk. 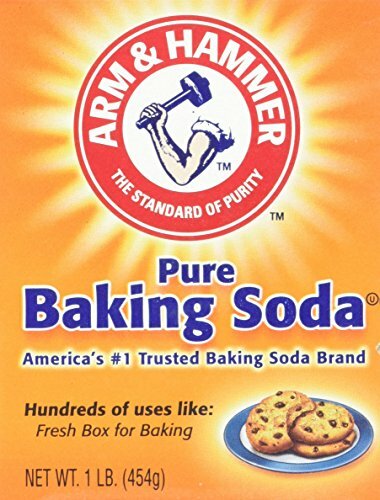 NOTE: Baking soda is also known as sodium bicarbonate. Sodium bicarbonate is the term used in Ireland, so to stay true to form, we are going to use that term from now on. Just swap it out for baking soda if you live in North America. In the sodium bicarbonate molecule there are 3 oxygen atoms, one carbon atom, one hydrogen atom and a sodium atom. Water will break down the bonds of these molecules and if you add an acid, like the lactic acid in buttermilk, a reaction occurs creating soda like bubbles. These bubbles are actually trapped carbon dioxide gas (CO2), just like in our other acid base experiments. 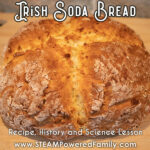 The carbon dioxide gas is what makes this Irish Soda Bread rise. We have done a lot of experimentation with acids and bases in the past. 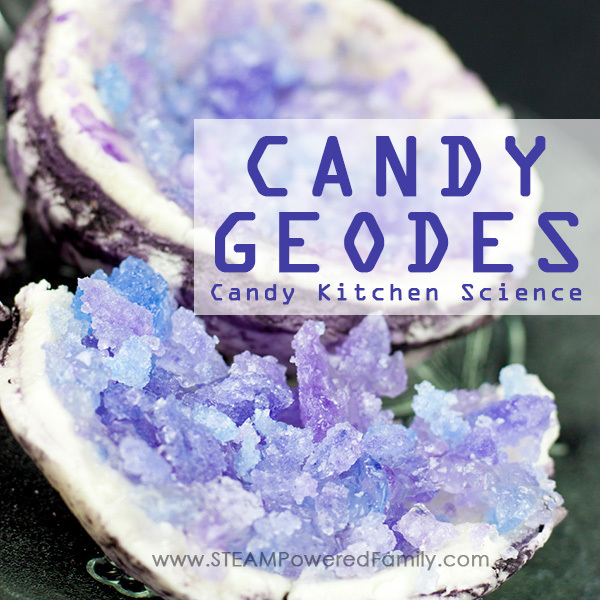 Just a few examples include Bottle Rockets, Hatching Dino Eggs, Magic Colour Changing Oobleck, Lemon Volcanoes, Slime Volcano, and of course, Bath Bombs! We even did an entire experiment just testing acid and base reactions. 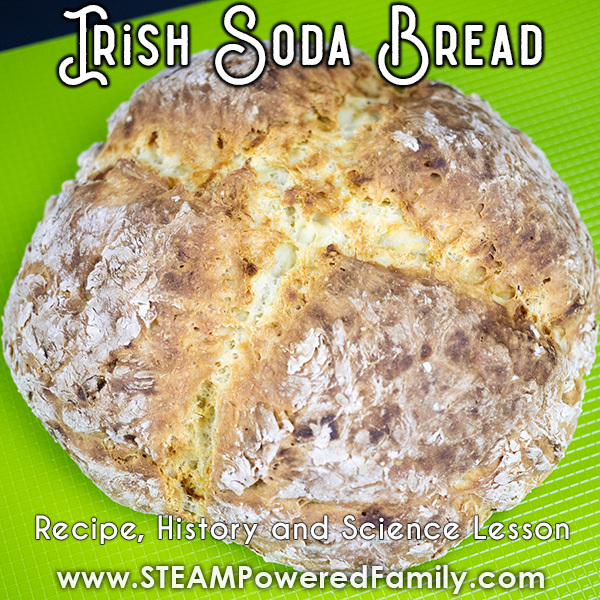 This type of chemistry reaction is always a hit with kids, so the idea that this lesson applies to this Irish Soda Bread recipe is sure to excite them! 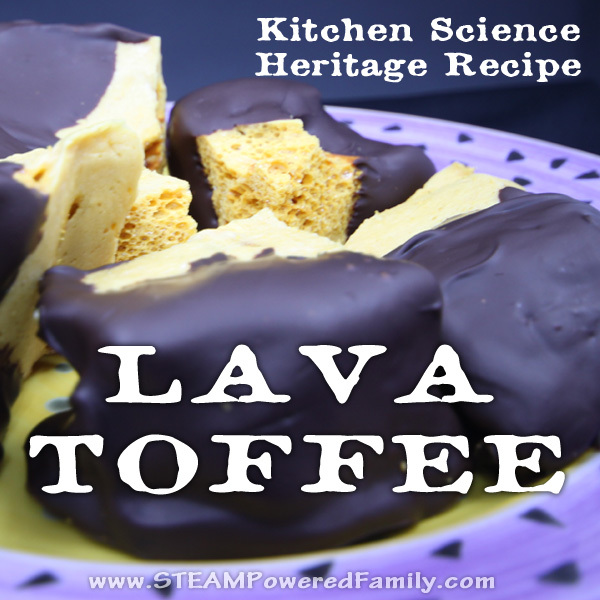 Everyone loves delicious, edible science. 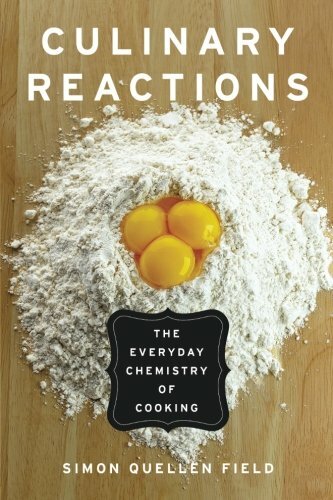 Below, with the ingredients, I have included some books we have really enjoyed as we learn about chemistry in the kitchen. So now that we have learned a bit about Ireland and some more really cool science, let’s make some bread! Heat the oven to 425F/218C. Mix the flour, sodium bicarbonate, and salt together. Slowly stir in the buttermilk with a large spoon. 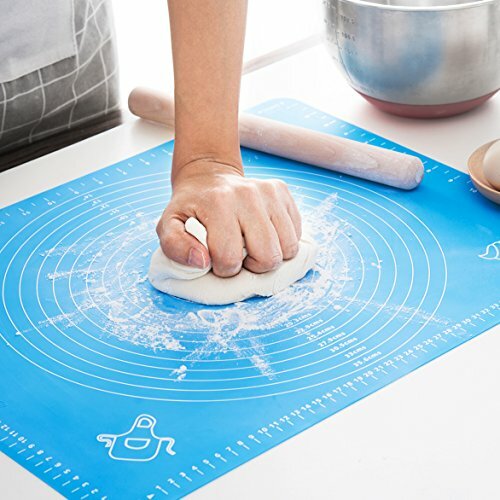 When the dough starts to come together turn it out onto the bread mat and using your hands gently shape the dough into a ball. You want to be very careful at this stage. This is a no knead bread. If you knead it, it will break the bubbles and your bread will not rise while baking. In this picture you can see the bubbles in our dough. Simply shape it then use a knife to make a cross cut. 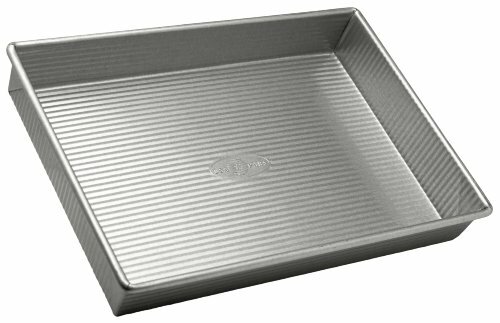 This helps control any cracking in the crust of the bread as it bakes. Put the dough in the greased pan and bake in the oven at 425 for 40 minutes. Check out the bubbles you can still see in the bread! This bread is quick to make but it also doesn’t keep fresh for longer than a day. 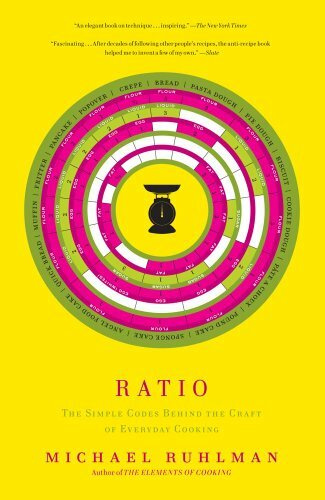 It is best to make it shortly before you wish to eat it. 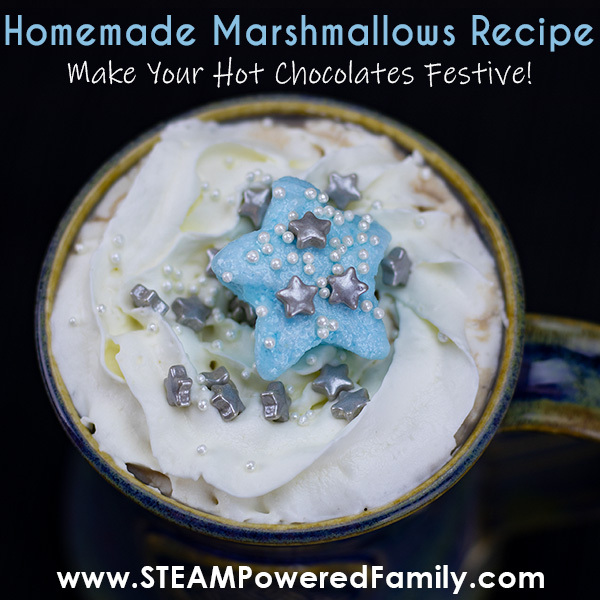 It goes wonderfully with a bowl of hearty stew or soup! 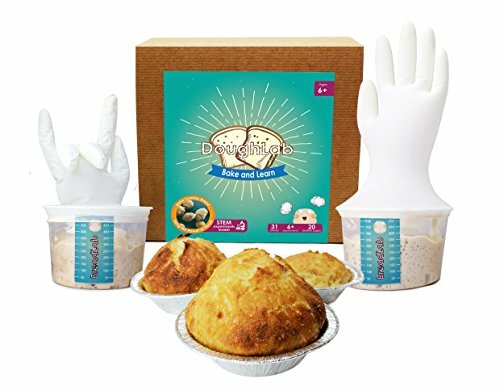 Check out this fun Dough Lab STEM kit we did. It was so much fun, and everything comes in the box, just add warm water and a curious, hungry, kid! 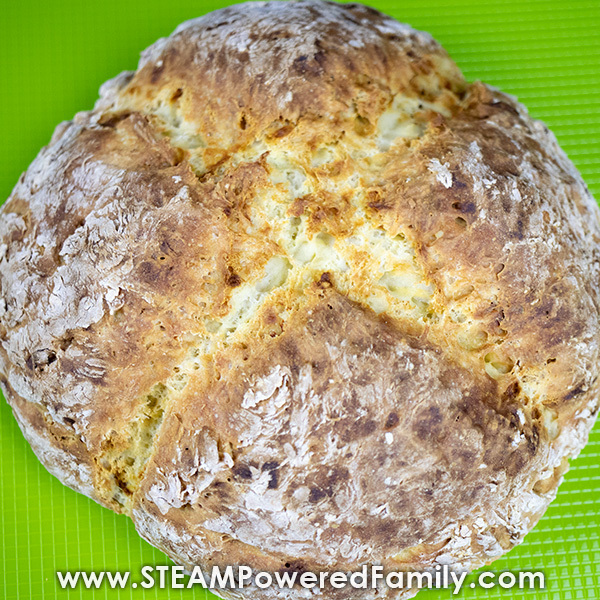 This delicious Irish Soda Bread recipe is so easy to make! 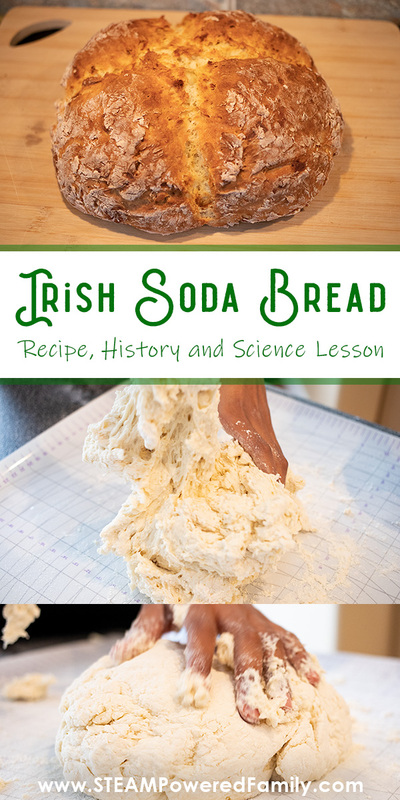 Learn the history of Irish Soda Bread, a bit about Ireland, plus the science behind the chemical reaction that causes this no yeast, no knead, bread to rise. You want to be very careful at this stage. This is a no knead bread. 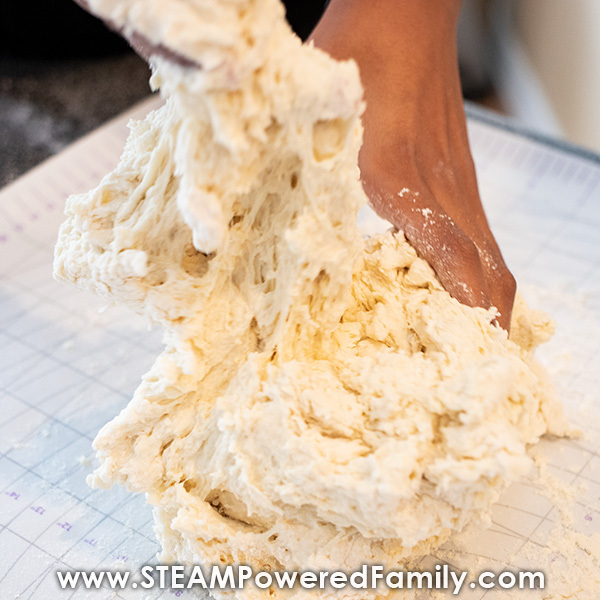 If you knead it, it will break the bubbles and your bread will not rise while baking.